King Arthur’s Cave and Quarry Champions site consists of a 300m long track bordered on the east by 7m high limestone cliffs, which are punctuated with small caves. 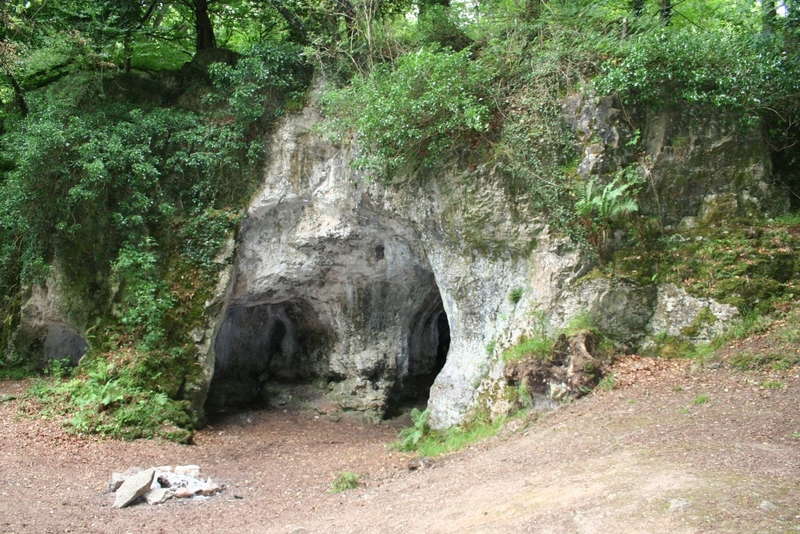 King Arthur’s Cave is located at the bottom of the track and has a broad entrance platform, a double interconnected entrance and two main chambers. The Quarry is located near the top of the track and extends southwards for approximately 50m. 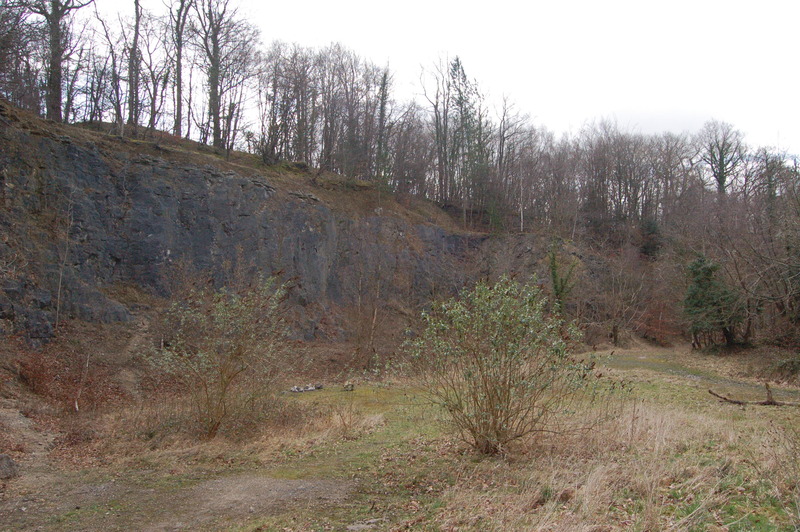 The Quarry is a former limestone quarry and the remains of a stone crusher and quarry buildings can be seen at the northern end of the track. The geology of King Arthur’s Cave and quarry dates to the Carboniferous period of time, approximately 310 million years ago. The rocks are limestones which have then been sculpted by water to form the dramatic cliffs and caves. During the last ice age sandy deposits were collected within King Arthur’s Cave, these record the climatic conditions during this period of fluctuating temperatures. Faunal remains, such as Hyaena bones, provide an insight into the uses of the cave after it was formed. An interpretation leaflet was produced for King Arthur’s Cave and Quarry to explain the features seen at the site. 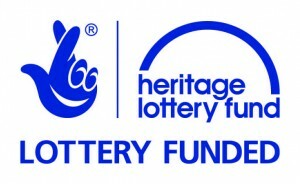 The leaflet is available from an outdoor literature holder attached to the Herefordshire Nature Trust interpretation Panel at the entrance of the site, or from the Doward Park Campsite reception. To see a copy of the leaflet please click here.